Mornings are difficult to say the least. I, for one, envy those people who can jump out of bed at 5am, go for a run, watch the news, make themselves an organic, free range, cruelty free, fair trade, magical gooseberry and egg white – pan boiled porridge oats for breakfast. These people are also the sort that relies on Mayan ginger tea sourced from a unicorn’s horn instead of good ole’ coffee to get them through the first eight hours of the day. I envy them, but do not think I could bring myself to be one them. Get your clothes ready the night before, so you are not rummaging around in the wardrobe 5 minutes before you need to leave, trying to find something both clean and suitable for work. Plus, you are probably too tired in the morning to think straight and coordinate a corporate outfit – think Kindergarten times and get everything laid out on a chair before you doze off. Also you would be surprised at how much time you can save by showering the night before. Or if you rely on a shower to wake yourself up in the morning, why not forgo the hair wash, apart from if you have short hair (remember the messy look is in right now too!). Girls, you could also try also doing your hair as much as you can before you sleep, some people even sleep in dry shampoo! This way, you just have to wake up and spend five minutes on it instead of twenty-five! Prepare your lunch, snacks and drinks at night, and get your laptop bag, keys, phones etc ready on the table. You may think ‘what’s the point – I’m spending the same amount of time, be it morning or night’ but the difference lies in the time – in the morning you will, no doubt, be more tired and thus slower than the night before, and the mad rush in the morning will be also minimised this way. Make sure to go to bed at a reasonable time; don’t stay up late watching an extra episode of Netflix! You will regret it in the morning! Aim for your eight hours and it will be so much easier to get up and going in the morning. Instead of (maybe) waking up to that dreaded ‘eerrrrhh eerrrrhhhh errrrhhhhh’ noise, do yourself a favor and spend $1.99 to buy your favorite song on iTunes and set it as your alarm sound! 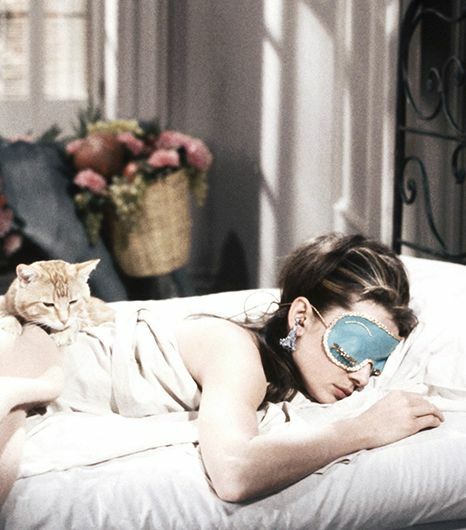 Wake up in a fabulous mood instead of angry and stressed. Plus there’s less of you snoozing it if you leave your phone across the room and have to physically get out of bed to turn it off. You have to eat before work. Breakfast is the most important meal of the day! If you don’t have time to sit down with your bowl of porridge and ginger tea, try toast and peanut butter in the car, with your coffee in a takeaway cup! Get something down you! Women: Your makeup routine is probably holding you back. Minimize the products you put on; such as using an all-in-one foundation and concealer (they exist), sweeping the same colour over your lids, cheeks and lips and using a tinted lip balm instead of lipstick. Try to get this routine down to fifteen minutes at the most! Men: We know you guys are already beautiful when you wake up, so just make sure the Harvey-from-Suits gelled hair is not gelled to the extreme (the more you put on the more time you take). Well there you have it! A few tricks to knock off a good half an hour off your morning routine! Winning!